Most of the known personal names have Greek, Latin or Hebrew roots. Therefore the same name may be common in different countries. Its sound and spelling changes depending on language features, sometimes it's easy to learn Russian name in another country, but sometimes it's like solving puzzles. Most popular Russian male name Ivan comes from the Hebrew John, which means "gift of God". In other languages, this name is also widely circulated: English John, French Jean, Italy – Giovanni, in the West Slavic countries – Yang, Janos. Female form of this name – John, Jana, Jeanne, Giovanna. French Jacques, English Jack and the Italian Giacomo in our country are not so well known James ("second-born"). The most popular female name in Russia, Maria also has Hebrew roots. Mary, Marie is this name in England and France. Another common name is Anna (from Hebrew "grace"), its analogues, Ann, Annette, Ankhen. Name Elizabeth ("one who honors God") is known in England as Elizabeth, Beth, Betty, in Russia as Lisa, in Germany as Lizhen. Slavic names usually do not have counterparts in other languages: Bogdan, Yaroslav, Vladislav, Stanislav. In Latin, the name Anthony means "join the battle". As the Romans in the decline of the Empire passed with fire and sword across Europe today, every country has Anthony, Antoine and Antonio. From the Roman Sergius ("revered") was Sergei, Serge and Sergio. Yulia is Russian, which in Latin sounds much familiar to us as the Julie London, Julie is in Paris, and Juliet in Verona. 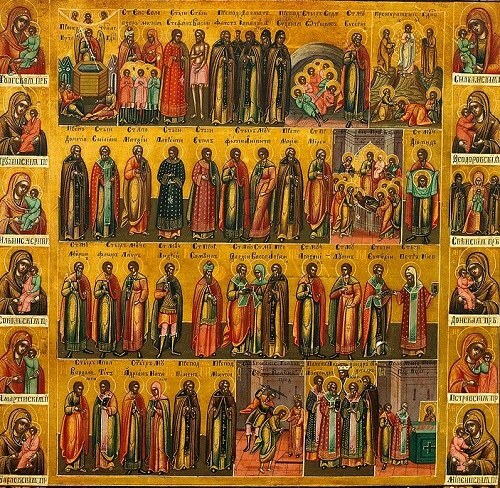 Greek names are very popular in Russia, because from there came to us Christianity and the Church calendar. Eugene (Greek for "noble") unexpectedly turns out to be Eugene in English-speaking countries and by Eugene in France. The name of Catherine "cleanliness" in Greek- was often given to girls of Royal origin in Spain, where it sounded like Katherine. But in other countries has not been without Kate, Katie, Catherine, Katherine and Katya. The interpretation of the name Elena is unclear, and its origin, perhaps even pre-Hellenic. In Russia it sounded like Alena in medieval England Elaine, and now Ellen and Helen. There are names phonetically different but semantically similar. Svetlana, Clara, Lucy mean the same thing – "bright". Some of the names sound the same in all languages. It is, first and foremost, Alexander and Alexander, Valentin and Valentina, Victor and Victoria. Interesting names that have passed into our daily lives from the culture of extinct peoples. The name Daria (from old Persian "the winner") in the English language turned into Dorothy and Dolly. On the contrary, from Albion came the name Arthur. With the language of the ancient Celts, it is translated as "bear" and sounds the same everywhere, except for the accents, which the English put on the first syllable.